Over 700 industrial and agricultural wastes are commonly found in tap water. During your water filter comparison, you must consider 3 things in this order to ensure that you are drinking healthy water. Our previous article addressed the evidence for the existence of over 700 industrial and agricultural wastes commonly found in tap water. Removal of these poisons requires a stronger filtration system than the standard faucet, refrigerator, or carafe systems provide. During your water filter comparison, you must consider 3 things in this order to ensure that you are drinking healthy water: filtration efficacy, pH, and cost. Ideally, filtration should be absolute; pH should be high enough; and cost should be low. 3 less important aspects to consider are filtration time, water waste, and installation. We will discuss filter options in order of cost. These filters are made by brands such as Brita, Pur, and Culligan. They are available as attachments that connect to a water faucet, or as pitchers that drip water through a small carbon filter. Refrigerator door filters are also in this category. These filters are the least expensive, and filter water the most quickly. They also do not waste or discard any water, and they do not remove any trace minerals from water. Because a large quantity of minerals and heavy metals will remain in your water after filtration, the pH of the water will be slightly above neutral. According to the Water Quality Association, these filters reduce, but do not eliminate, copper, chlorine, lead, magnesium, asbestos, and benzene. Still, manufacturers of these filters only claim to reduce about 10 of the 700 chemicals known to exist in tap water, and studies as old as 1977 have demonstrated that these filters do not remove bacteria or microbes. This option is only better than doing nothing. 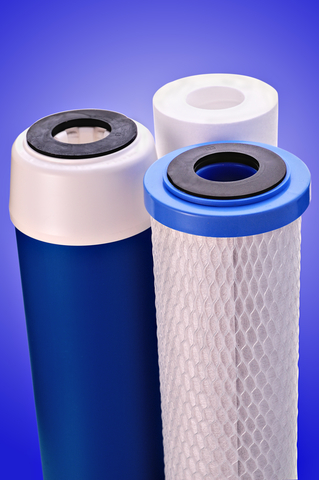 If you rely entirely on small carbon filters, ensure that you replace the filter at least every 3 months. Remember to use your filtered water for cooking, as well as drinking. 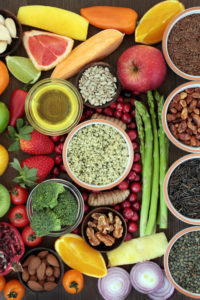 As the following high quality filters discard contaminated water, and are slow to produce filtered water, it may be practical for you to use the high quality filter for drinking, and the low quality filter for cooking. This will reduce your water bill, while keeping you mostly protected. High quality reverse osmosis filters are made by Kenmore, US Water Systems, and Pelican. These filters use pressure from your home water line to force water through five stages of filtration. Together, these stages remove nearly everything from the water, making 5-stage reverse osmosis (RO) the purest filtration method. Although this keeps you safe from the poisons previously discussed, it also removes beneficial trace minerals. This causes the filtered water to be acidic and lower in mineral content than your cells, which in turn, can cause minerals in your cells to be drawn out into the bloodstream and excreted in urine. Additionally, the acidity of the water can cause your body to release minerals from bone in order to restore a neutral blood pH. These two facts make long term RO consumption dangerous in conjunction with an acidic or low mineral diet. Both of these drawbacks can be easily overcome. Lemon juice is not an alkaline substance, but in the process of being metabolized, it has an extremely alkalinizing effect on the body. Squeezing one whole lemon into 2 liters of RO water will compensate for the water’s acidity. To restore minerals to the water, simply add 20 drops of trace mineral supplement to 2 liters of water. Once these methods are applied to RO water, the RO process becomes the cleanest and least expensive option. Professional installation of an RO system is not necessary, but you will be required to do some drilling and plumbing work in order to install the machine. It does not require electricity, but it does require water pressure coming from the cold water line beneath your sink. You will need about 6 square feet of space, and the machine will most likely become a permanent part of your home once you have it installed. You should also be aware that the machine discards 2 liters of water for every liter that it purifies. This will increase your monthly water bill by about 10 dollars. RO filter stages should be replaced once per year, and cost about $60 in total. These filters are made by Berkey, ProPur, and AquaCera. These devices use gravity to pass water through ceramic and carbon filters. They do not remove the quantity of contaminants that RO filters can, but they do not detrimentally affect water pH or mineral content either. They are also more effective than RO at removing bacteria and microbes. However, the basic models do not remove fluoride or arsenic. You will often have to purchase additional filter attachments in order to remove these specific contaminants, and those attachments may only be compatible with certain product models. This depends on the manufacturer, so ensure that you read the specifications of each filter so that it will remove what you expect it to. Gravity filters are known for being very slow. This may make them impractical for use with cooking, as that can require larger amounts of water. Frequent cooking or large families may require a larger, more expensive gravity filter. The filters require cleaning, but their components can last for up to 5 years without being replaced. The replacement filter cost is about $50 total. Another advantage of gravity filters is that they do not require installation, electricity, pressure, or plumbing. They are portable, and can filter any type of water, even from lakes or streams. This makes them the best option in a rural environment or in a survival situation. Unlike RO, no post-filtering pH or mineral modification is necessary, but anyone investing in a filter like this should ensure that it has the components needed to remove fluoride. These purifiers are produced by Barnstead, Waterwise, and Tuttnauer. Water distillers use electricity to boil water, and condense the evaporated steam into a separate container. This will remove any contaminant that has a higher boiling point than water. Like RO, heavy metals and trace minerals will be completely removed. This causes distilled water and RO water to share the disadvantages of acidity and mineral deficiency. Most pesticides, herbicides, and chlorine solutions have higher boiling points than water, and will therefore be removed from the distilled water. However, many of these compounds exist with lower boiling points than water, and will not be removed. Because of this, distillation does not produce absolutely pure water. But, the best advantage of distillers is that they destroy all microbes and viruses. Water filter comparison – Which is best for you? If you value filtration at a low price, then a 5-stage RO system is the best option. Remember to restore the filtered water’s pH using lemon juice, and its mineral content using a mineral supplement. If good filtration, portability, and ease of use are your priorities, then a gravity filter is your best option. In this case, make sure your system is equipped with special fluoride and arsenic filters. If you are concerned about microbes and viruses, or if you live in an area with no municipal water treatment, then a water distiller is a very important option for you. Like with RO, ensure that you raise the water’s pH and restore its mineral content. What type of water filtration do you currently use? Do you recommend it? If so,tell us in the Comments section below. By doing so, you can help others who are shopping for an efficient water filtration system for their own use. Appl Environ Microbiol. 1977 November; 34(5): 541–546. add, asbestos, bacteria, bone, cooking, diet, fluoride, magnesium, nitrates, pesticides, supplement, water filter comparison, water filtration. I use Aquasana systems out of Texas. I use their under counter unit and the shower unit. This company has both NSF ratings 42&53 which certify that their systems were tested for the contaminants stated. They can legally claim 60 contaminants removed for a very affordable cost. It looks like Aquasana uses Activated Carbon, Catalytic Carbon, Ion Exchange, and Sub-Micron filtration; definitely a good system. I would like to ask them specifically if their systems remove fluoride, though. If I could remove ONE thing from my water, and nothing else; it would be fluoride. Thank you for this article. We are at the beginning of looking for something to make our water healthier and softer. What about the water softeners that are also a purifier? I look forward to reading more comments. Water softening is a good idea. It basically means removing calcium and other heavy metals from the water, which is the same thing that RO, carbon block, and distillation filters accomplish. In effect, all of these soften water. Removing these metals also makes the water more healthy for drinking and cooking, so any filter that does this would be beneficial. What about a ZERO water filter? What about bottled water. Which brands would you suggest & why? I have been using a Waterwise water distiller for the past 15 years and love it. I pour the distilled water I to a 5 gallon stainless steel water container so I never run out of water. Only drawback is that ir takes 4 hrs to make 1 gallon of distilled water.